72,000 people around the country died of drug overdoses last year, according to the Centers for Disease Control. In Ohio, there were 4,854 people who died in 2017 – 13 people a day, or one every two hours. Those 13 people who are dying of heroin, fentanyl, prescription painkiller and other opioid related overdoses every day in Ohio – they all have parents, friends, neighbors, co-workers - and kids. The Public Children’s Services Association of Ohio says half of the children taken into custody had parents who were using drugs. And the Ohio Department of Health estimates 84 babies are being treated each day for drug withdrawal. Jo Ingles reports on how families, caregivers and advocates are connecting to care and helping with the trauma, confusion and devastation left on kids by opioids. Communities in every part of the state have been damaged by opioid deaths. Last year, for the first time, there was an overdose death in every single county in Ohio. Dayton and Montgomery County led the state, but rounding out the top five are all rural counties – Fayette, Clinton, Clark and Brown. The CDC says the rural overdose death rate has been higher than the urban rate for a decade. And those communities are struggling to get a grip on handling that. Among the complex reasons for the high rates of opioid use and overdose in rural areas is that treatment can be hard to find, and far from home when it is. Many times connecting people to care is about removing barriers – including a much discussed policy that advocates say may have served a purpose once but is now an obstacle in this fight. Andy Chow reports. Over and over, health experts, counselors, advocates, and people and families struggling with addiction say there simply isn’t enough treatment available, especially at the moment when a person who’s addicted is ready for it. A study released last year from Ohio State University’s Swank Program in Rural-Urban Policy says the state only has enough treatment capacity to reach up only 20-40% of the up to 170,000 Ohioans who need it. 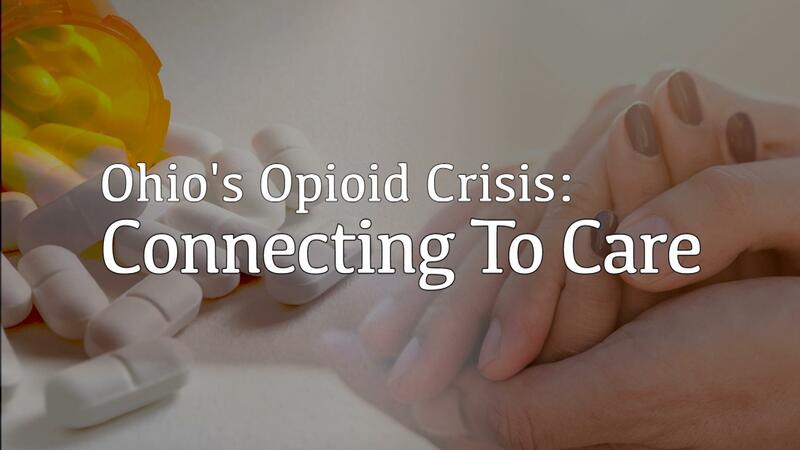 But it also showed the opioid crisis costs Ohio up to $8.8 billion in 2015, and state spending on the crisis hasn’t kept pace with the increase in overdose deaths. Ohio Department of Mental Health and Addiction Services Director Dr. Mark Hurst and Public Safety Director John Born are part of the Kasich administration’s front lines, managing the money spent on Medicaid, law enforcement and other services and programs.